Sometimes I do things without reasons. I have always felt that it is important to simply do things just for the heck of it. So if you ask me, why Snapshots? I cannot give you a legitimate answer. Some of the pictures below may be related to food, some may not. One thing I know for sure, looking at these pictures makes me happy and I want to share them with you. “Snapshots” is a post consist of 3 pictures that inspire me, induce nostalgia or simply put a smile on my face. There will be occasional day meal, travel pictures and eye catching dessert/candy/snacks I stumbled on. 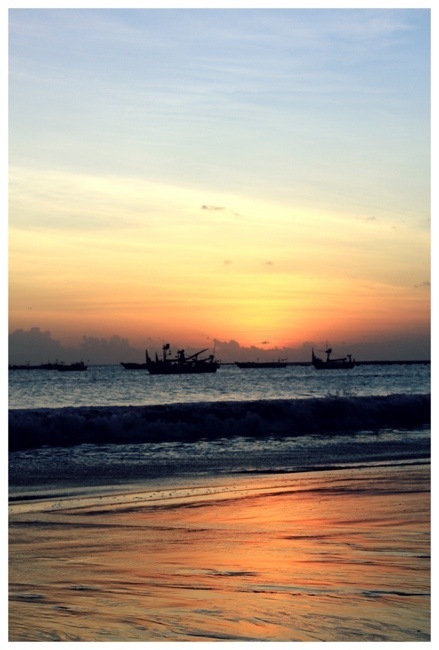 I can’t forget this sunset in Jimbaran, Bali. I Love the silhouette of the boats and how the dark tangerine from the sinking sun reflected on the sand. My first successful cupcake ever! 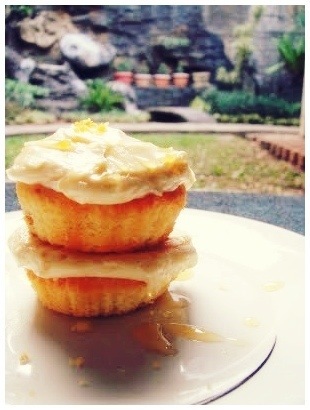 (back in 2009) Lemon cupcake with cream cheese frosting, drizzled with honey. A cute strawberry shortcake bakery I passed by in Tokyo, Japan. Thank you, Glad you’re smiling too because of it! Pictures are like frozen moments in time. 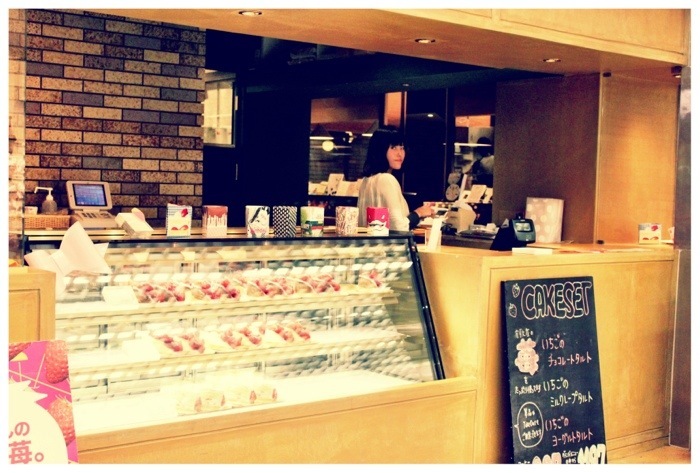 I really like the photo of the bakery. It’s so cute!